Uncompromising quality and functionality make up this Premier 3.5-Inch Oil Rubbed Bronze Kitchen, Prep, Bar Drain. Basket Strainer Deluxe Style with Strainer Basket with Open/Close Function. It is an inner dimensions: 3.5-Inch, outer 4.5-Inch by 3-Inch. Installation Type: Compression. It is made of Brass and PVC. Drain Size: 3.5-Inch. Includes care, mounting instructions and warranty information. 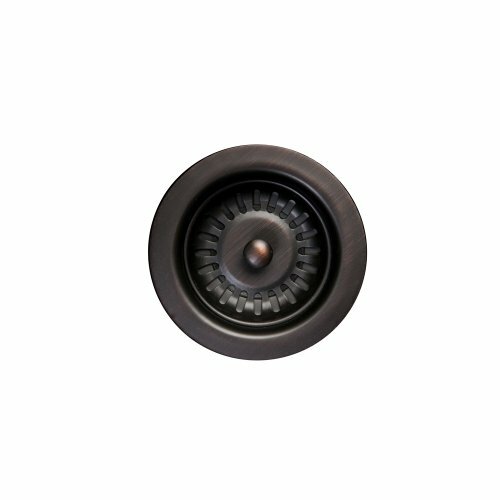 Suggested accessories: Installation Silicone for Model: C900-ORB.